Summer will soon be upon us, which is the time of year many turn to upgrading their car stereo system. To do it right, you need a good foundation and infrastructure. One of the best companies for this is Metra. They provide the gear you need to get it installed right, and get the best out of your systems. You may ask, foundation and infrastructure? What do you mean? It’s called wiring, connections, and sound dampening. The road is a noisy environment. To help you better hear your tunes, you need to try to keep the noise outside, and the music in. And your car rattling due to bass from your subwoofer can be obnoxious. Some really good sound dampening material can help with all that. It will get rid of the rattles and help keep the road noise outside the car, Metra can provide that with their Ballistic Sound Dampening Material. And what they provided is the Competition Grade Bulk Kit. You also need good quality wire for ground and power. The right high quality wiring will get the most out of your system. It’s a lot like a freeway. Ever been in bumper to bumper freeway traffic? You can’t get as many cars down a 2 lane highway as you can on an 8 lane highway. It is the same with electrical current. You can’t get the current your amp needs with thin speaker wire sized power and ground cable. That could actually be a fire hazard. I’ve seen guys have a large 1,000 watt amp, and only use cheap 8 gauge wire for it. To get the most out of your amp, you need large high quality wire. This will get the most clean power to your amp. Not all power and ground wire are created equal. Cheap wire will not have a high strand count, and will have thicker wires. One can argue that high strand count doesn’t provide better sound or more power to the amp. But it certainly makes it much more flexible, hence more friendly to use during installation. The cheap wire is also not as thick. Cheap 4 gauge wire will look like 4 gauge wire. But after you take off the plastic jacket, you will see the plastic jacket is extra thick, and the actual wire is not as thick as it should be. It’s probably more like 5 or 5.5 gauge. You can clearly see from the attached pics. It’s another example of getting what you pay for. Not only do you actually get the wire gauge you pay for, but with provided Metra's T-Spec V10 series power and ground wire it is a full 100% oxygen free virgin copper with high strand count with flexible jacket. It’s a very high quality, very flexible wire that will get the current to your amp that it needs, so you will get everything out of your amp that it can give. And it also makes installation very easy. I’m particular with my installations, for them to have a clean look. Such a high quality flexible wire is critical when you need to bend around corners. To compare, I included photos of Metra's T-Spec V10 Power cable in 4 gauge using 100% virgin copper high strand count wires. And as a comparison I included some Performance Teknique 4 gauge high current power wire. As you can see from the photos, the Performance Teknique appears to be as thick overall as the T-Spec V10 series wire. The T-Spec is actually just a tad thicker overall. But if you look much closer, you will be able to see the real difference. The red plastic jacket on the Performance Teknique is much thicker than the jacket on the T-Spec V10 wiring. This means that the amount of actual wire in the Performance Teknique would be much less. And if you look at the side by side photos of the two wires, you can see that the copper wire in the Performance Teknique is much less! Measuring with a tape measure, the total thickness of the wire cluster in the jacket of the Performance Teknique is 5/32 of an inch. While the size of the wires in the T-Spec V10 series is 8/32 of an inch. That's a huge difference! Since the jacket on the T-Spec is thinner, it also means a much more flexible wire. When it came time to test the performance, the quality of the T-Spec V10 Power Wire performed well. It was easy to install with its high flexibility. And the fact that you know it is true to its power rating helps you rest assured that your amps will get the current that they need for you to get the most power out of them. The Ballistic Competition Grade Bulk Kit also performed very well. You'll want to be careful when cutting it into smaller pieces as your install may require, as it is very sticky! But due to how sticky it is, you know that it will stay on as a permanent part of your vehicle. Make sure to also get the install tool, which makes installing the material much simpler. And the end result is a material that really does help a lot to reduce the amount of road noise that you hear inside the vehicle. The rattling from the subwoofer is also eliminated. 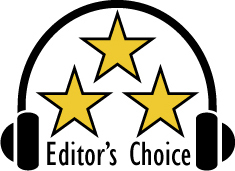 Based on their design, features, quality, and performance, the T-Spec V10 series power cable and the Ballistic Competition Grade Bulk Kit have both earned our Editor's Choice Award. Kudos to them on a great product. For more info and complete specs, check out their website at www.Ballistic-online.com and www.tspeconline.com.